Yes. However, if you are an Avenue Web Media client there is nothing left to do in terms of site optimization. All our sites are built from the ground up taking into account all the search engine ranking factors. The only thing you need to worry about is creating good content for your visitors. SEO stands for Search Engine Optimization and refers to the practice of optimizing our site to be as search-engine friendly as possible. A search-engine friendly site is one that takes into account all the search engine ranking factors to make sure search engines have no problems visiting, crawling, understanding and making the most out of our site. No – and yes. We can't control the search engines (nobody can). To stay in business, search engines must offer the best results or risk losing their users to the competition, so companies like Google and Yahoo will not tamper with the quality of their organic results for money or any other commercial incentive. The only way to rank high is to naturally convince the search engines that our site is the best result for a particular query. It depends on the marketing effort... and common knowledge will vary greatly - we've had to argue with “professionals” that say it takes 6 months to appear in Google. In our experience, when executing a proper marketing campaign, new sites take between 2-5 days to show up in Google and 3-7 days to show up in Yahoo. However, establishing good rankings takes a lot longer. Depending on the marketing effort, sites can start seeing good traffic within the first couple of weeks, but it will take 3-4 months to secure good rankings. No. Search engines such as Google and Yahoo have submission forms but these are pointless. For your site to appear in their rankings it must have some level of reputation online via several factors such as in-bound links (IBL) and good content on your site. If these things are not in place, submitting to a search engine will do no good because whether search engines know of your site or not, they will not rank it. What’s Keeping You From Getting a Professional Website? Nowadays, every business owner knows the importance of having a website. The internet is the quickest, most effective way to research any topic, or in this case - business, that one desires. Consumers like to browse and compare many sites before choosing a company they trust. Having a website for your business gives you the opportunity to sell not only your products and services, but yourself as well. 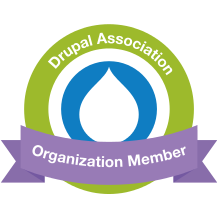 The following are a few high-profile sites that use the Drupal platform. Fast Company, a business/technology magazine with over 200,000 pages. AOL used Drupal in a few projects, including their corporate information website. Popular Science has been covering science and technology news since 1837. The site has been up since 1999 and was recently re-developed to switch to the Drupal platform. Over 60,000 pages. Contextual ads, such as the ones served by Google's Adsense, can produce a few extra bucks per month, or even cover a couple of bills if your site has a lot of traffic. However, if your website business model is based on offering your company's products and services, then you are probably better off without contextual ads.